Screenplay: Spike Jonze, Dave Eggers. Starring: Max Records, Cathrine Keener, Mark Ruffalo. Voices: James Gandolfini, Forest Whitaker, Paul Dano, Catherine O’Hara, Chris Cooper, Lauren Ambrose, Spike Jonze. Spike Jonze is a very imaginative director and I enjoyed his previous films (“Being John Malkovich” & “Adaptation”) but he has bitten off more than he can chew with this one. 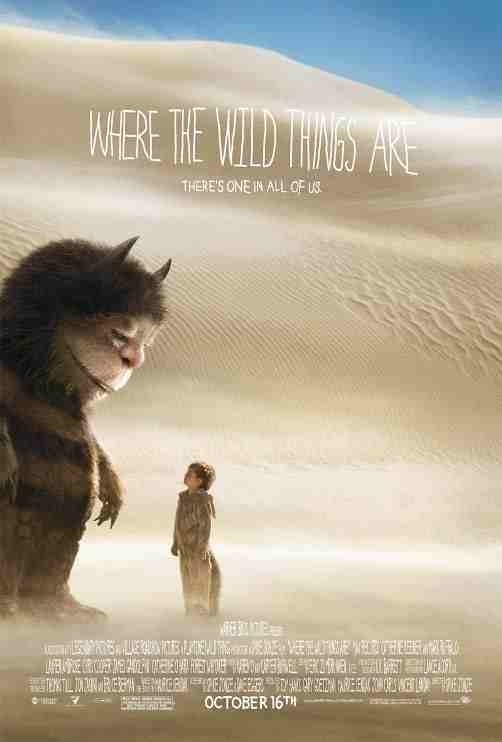 “Where the Wild things are” is based on the childrens story by Maurice Sendak. I admittedly haven’t read it but apparently it’s very short and only several pages long. If this is true then it shows in the translation to film. Max (Max Records) a young boy who is having problems at home and to escape these problems, he allows his imagination to run wild. 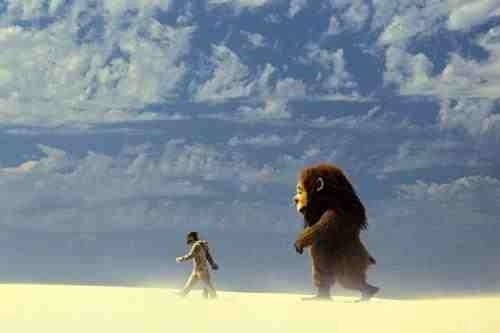 He arrives upon a land that strange creatures inhabit. They are looking for guidance and young Max is only too happy to be their leader in his fantasy world, but soon realises that these creatures have the same problems and emotions as people in the real world. Despite director Spike Jonze being very creative in his earlier films, he has absolutely nothing to hold your interest here. The fact that the childrens book was brief doesn’t help the flow of this, as the film really drags and shows that there wasn’t enough material to adapt in the first place. It’s too childish for adults and too frightening (at parts) for children. In the end, the film can’t really identify with an age group and just meanders. This entry was posted on January 24, 2012 at 7:48 am and is filed under Adventure, Family, Fantasy with tags 2009. You can follow any responses to this entry through the RSS 2.0 feed. You can leave a response, or trackback from your own site.